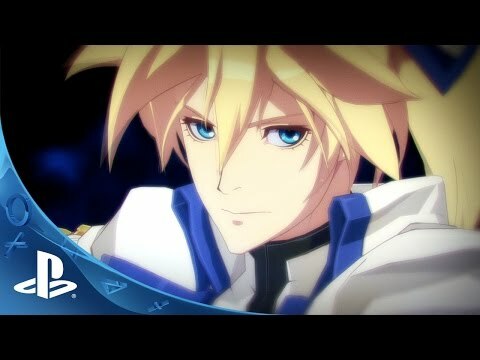 Celebrating its rich 16-year history as one of the most innovative fighting games ever, Guilty Gear Xrd -SIGN- brings its completely redesigned, extreme style and unique 3D animation to the PlayStation(r)4 system as one of the first completely new fighting games for this console! Arc System Works, developer of Guilty Gear, is legendary for its 2D animation style and decided to bring that sensibility to the world of 3D, creating a seamless and unique experience that will stun players with Guilty Gear’s smooth, yet amazing graphics! The multi-talented man behind Guilty Gear, Daisuke Ishiwatari, once again arranges and composes the music of Guilty Gear Xrd -SIGN- featuring Japanese thrash metal band vocalist Naoki Hashimoto of OUTRAGE in the opening theme! With over 80 heavy rock tracks, the music perfectly complements the action whether players are in story mode or rocking it out in versus mode! A woman named Ramlethal Valentine appears before humanity and declares war upon the world. It is now up to the world to take action and once again prevent humanity’s destruction. But who will stand against such a formidable foe? © Developed by ARC SYSTEM WORKS. Licensed to and published by Aksys Games with permission from ARC SYSTEM WORKS.